We looked at how subregions in Los Angeles County measured in terms of sustainability measures. We found that the San Gabriel Valley ranks in the lowest tier, emitting less greenhouse gases per job than the County but compensating workers at lower wages. 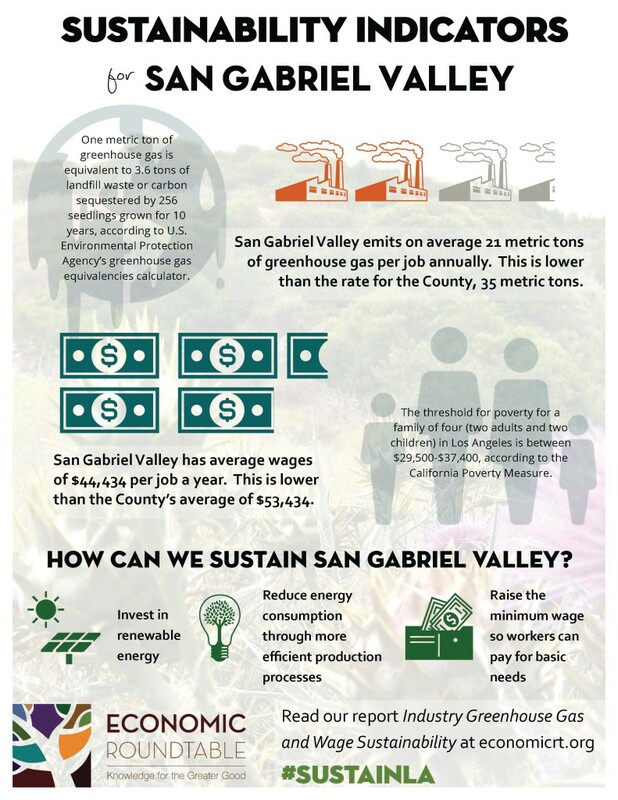 Download our infographic on Sustainability Indicators for the San Gabriel Valley.